As we approach Thanksgiving, it seems like a good time for this Extension Specialist to show appreciation for farmers who are adopting practices which benefit soil health. These are the guys who aren’t doing what everyone else is doing, the ones everyone in their farming communities are watching and talking about at the coffee shop. It’s a tough “breed” these soil health farmers, but they are the ones who teach me and others about how to to do it while still farming profitably. We know that the best way to build soil health is to reduce tillage and diversify rotations. Though this sounds simple, these are two of the most difficult practices to adopt especially in the northern Great Plains where the soils can be challenging and the growing season is short. But, reducing tillage and diversifying rotations (including the use of cover crops) are an ABSOLUTE requirement in this region to manage our primary concern of wind erosion. In this region, up to a “dime’s width” of topsoil can be permanently lost every year from fields that have been tilled in the fall. Over time, this can mean a heck of a lot of soil is lost. In northeastern North Dakota, David Hopkins with North Dakota State University returned to field locations where topsoil depths were recorded in 1960. Since then, up to 18” of topsoil have been lost. This means that farmers are now farming subsoil mixed with topsoil – bringing more clay and carbonates and less organic matter into the crop rooting zone. This in turn can lead to greater inputs with lower yields. The best way to reduce topsoil erosion is to reduce tillage and keep cover on the field, whether that be residue or something growing like a winter annual cover crop. So, as I drive around the region this fall and winter where topsoil erosion is easily seen with the dark soil on the white snow, I want to thank in advance those farmers who have made every effort to reduce wind erosion on their fields. 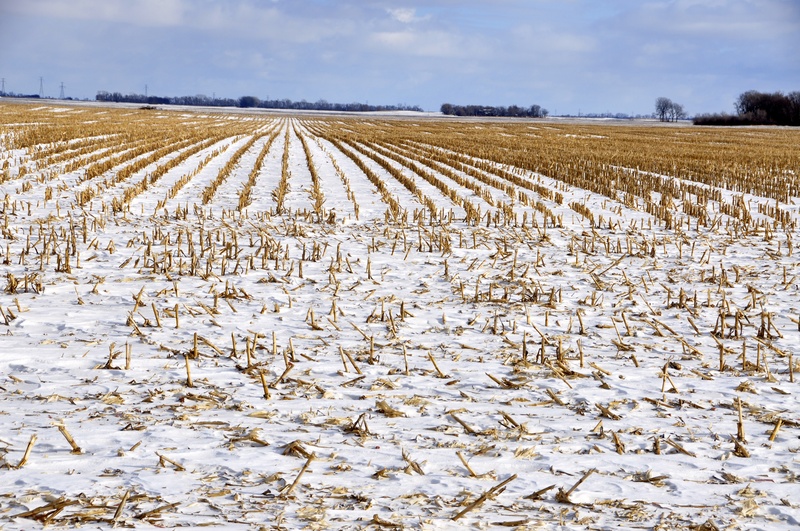 Those who have left standing corn stalks to trap snow for cover and reduce wind velocity at the surface. Those who planted cereal rye as a cover crop following a low residue crop like soybean to provide cover on their fields. Those who have maintained tree rows to slow wind speeds across their fields. Those who use diverse rotations to build up and maintain residue on the surface. 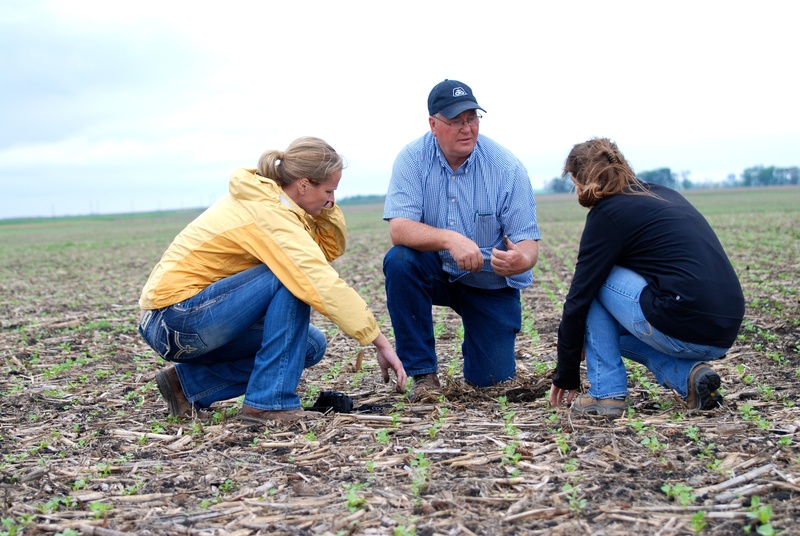 Those who see the value in keeping their soils in place and build soil health – thank you! To learn more about Abbey's research and benefits of conservation tillage, register for the Conservation Tillage Conference, December 15 & 16 in Willmar, MN. Find out how the Zone Tillage with the SoilWarrior can benefit your soil and your bottom line.